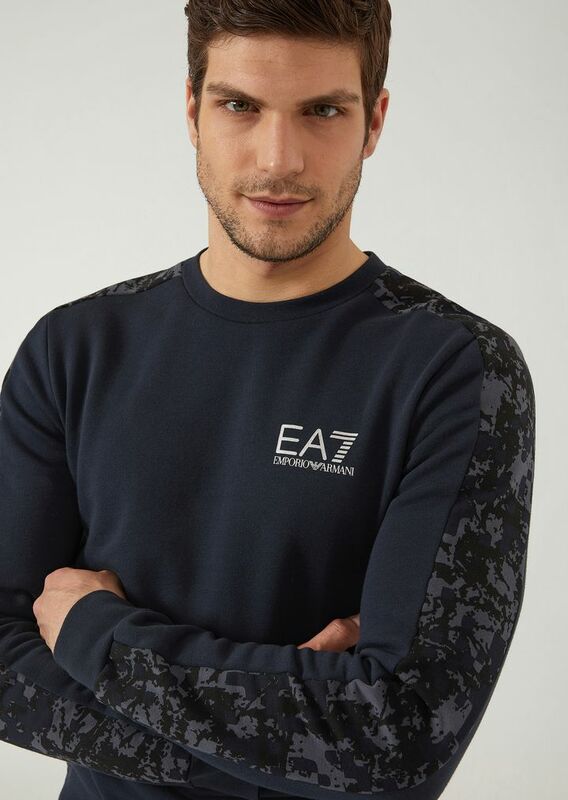 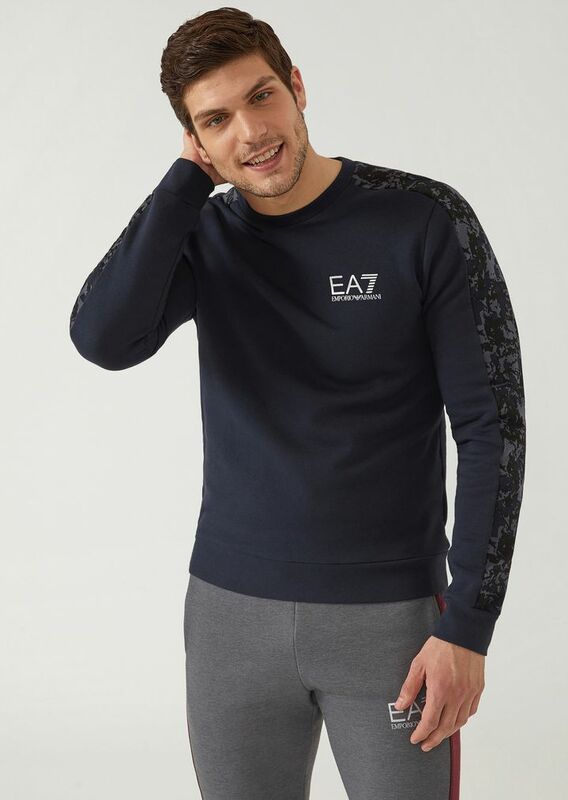 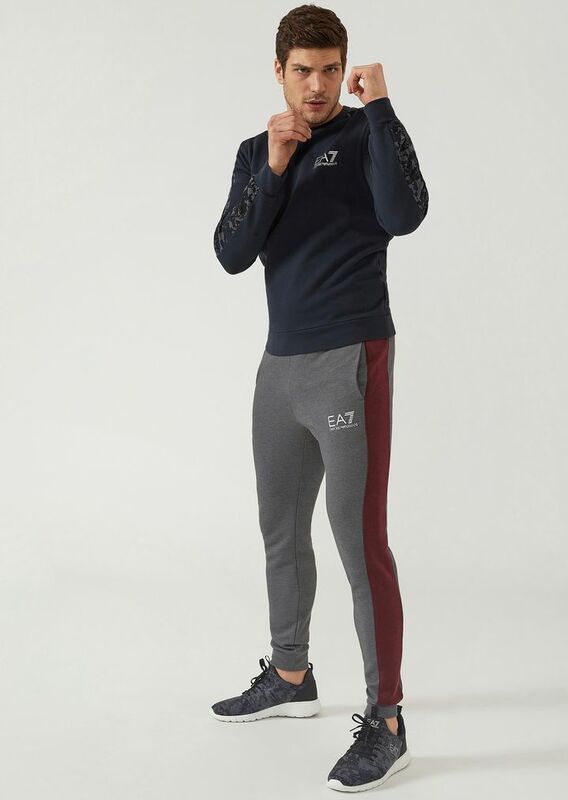 EA7 style effortlessly teams practicality and on-trend details: all items are designed to be versatile for leisure wear or working out. 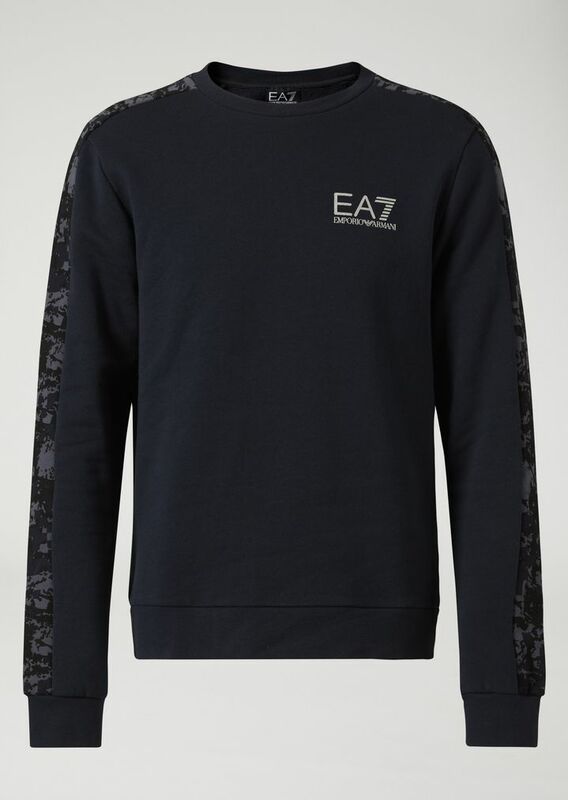 This sweatshirt showcases the brand's contemporary approach with its understated design embellished with an original motif on the sleeves. 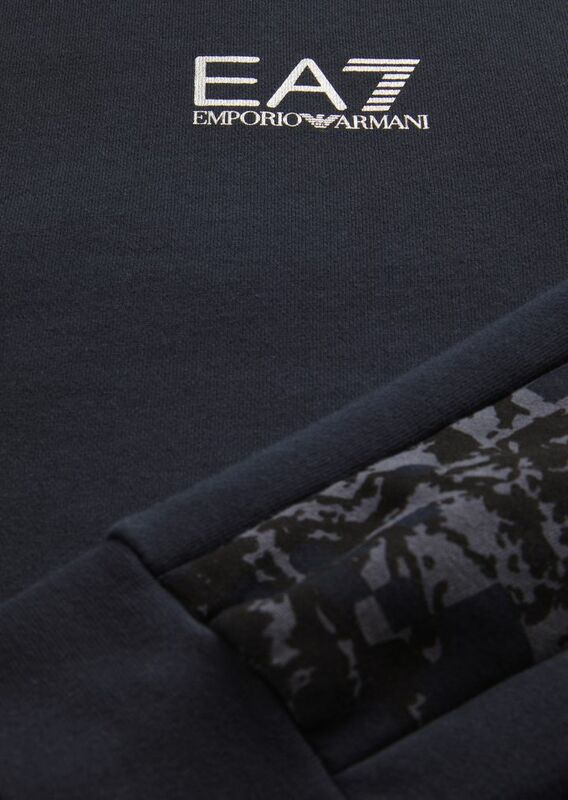 The printed logo on the front finishes the piece.